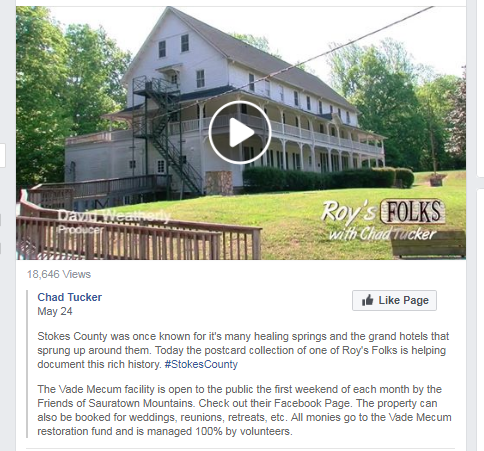 The Vade Mecum facility is open to the public the first weekend of each month by the Friends of Sauratown Mountains. Check out their Facebook Page. The property can also be booked for weddings, reunions, retreats, etc. All monies go to the Vade Mecum restoration fund and is managed 100% by volunteers.